EGO 2018 Whitepaper: Lithium-Ion battery versus petrol powered outdoor equipment. Is stringent EU legislation the end of Petrol? It has been the fuel of choice for over 100 years – mainly because there has been no viable challenger. 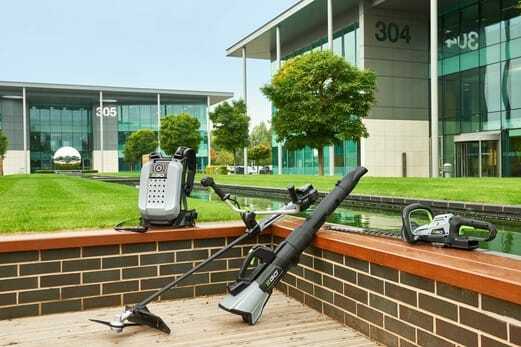 Recently however, battery-powered cordless equipment has begun to gain worldwide popularity and increased market share, signalling the most significant shift in the sector for decades. EGO explores this and how to increase safety, productivity, sustainability and cost-effectiveness. Click here to download the latest whitepaper. Feel free to browse around on our website or visit our social media channels to learn more about our products and what is happening in the EGO Power+ world.